Paying homage to the classic designs of some of Voigtlander's earliest lenses, the Heliar 50mm f/3.5 is a unique normal-length prime intended to provide a vintage image quality, complete with rich colour saturation and high sharpness. 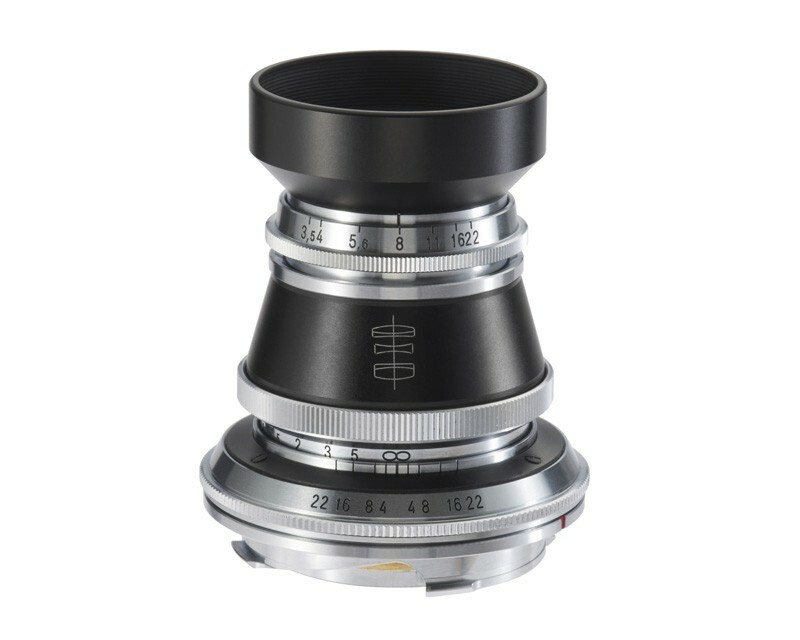 Compatible with 35mm film and full-frame M-mount rangefinder cameras, this lens uses a traditional Heliar optical design and features a durable all-metal exterior with an engraving of the five-elements-in-three-groups optical layout. Smooth manual focus operation permits working with subjects as close as 2.3' away, and a de-clicked manual aperture ring permits making smooth, silent aperture transitions to benefit both stills and video applications. Additionally, a 10-blade diaphragm is featured to contribute to a smooth bokeh quality. Simple five elements, three groups Heliar optical design is used to offer a classic image quality with strong colour reproduction and fine sharpness. Exterior of the lens is designed to match some of the earliest Voigtlander lenses from the 19th century, and features an all-metal build for durability as well as an engraved rendition of the Heliar design. Manual focus design permits working with subjects as close as 2.3' away, and the lens will couple to rangefinder mechanisms for focusing accuracy. De-clicked manual aperture ring permits smooth, seamless aperture adjustments, and a 10-blade diaphragm contributes to a pleasing bokeh quality. A screw-in type lens hood is included to protect the front element from stray light while shooting, and a dedicated metal front lens cap is also provided to guard the lens while not in use.